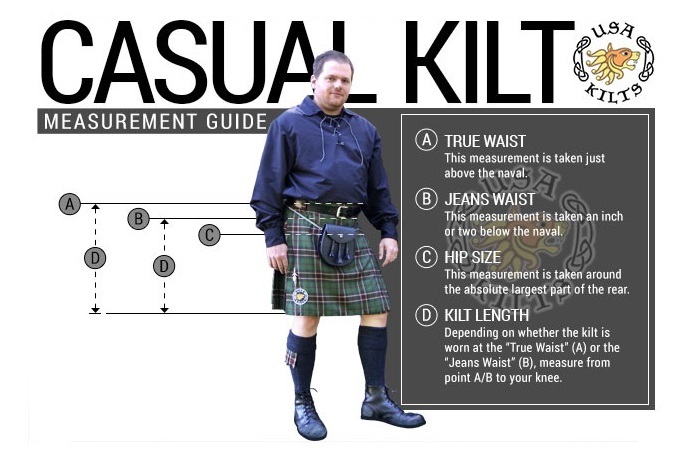 When taking measurements for your kilt, make sure to use a good sewing tape measure. 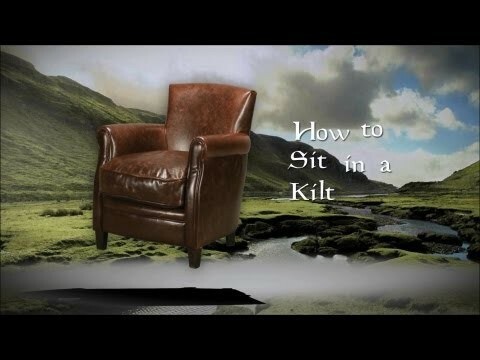 Wrap it around yourself at the top of where you'd like to wear the kilt (either jeans waist or true waist at the navel). 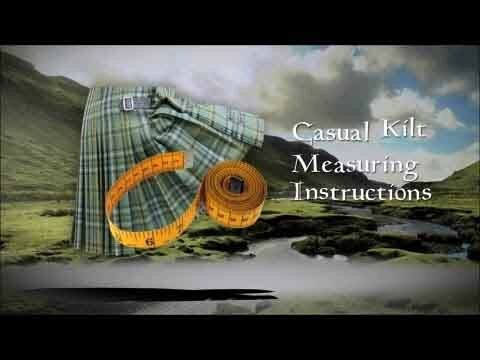 The tape measure should be pulled as snug as you want your finished kilt to be. For more detailed instructions, open the grey "Measuring Instructions" tab under the product description or watch a video on how to measure in the "Videos" tab under the main product image. 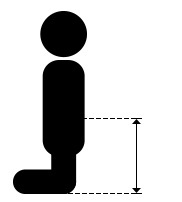 Have another person kneel at your side with the tape measure. 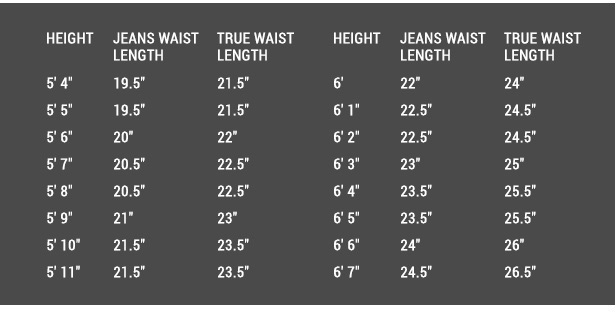 They will put the "0" end of the tape measure on the SIDE of your body at the top of where you took your waist measurement (either jeans waist or true waist). 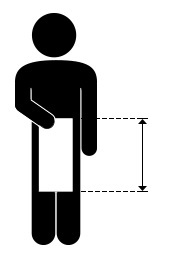 Measure from that point down the side of your body to the middle of your knee, which is where the bottom of the kilt will be. That distance will be your kilt's length. For more detailed instructions & alternative ways to measure length, open the grey "Measuring Instructions" tab under the product description or watch a video on how to measure in the "Videos" tab under the main product image. If you're only going to wear a 1.5" jeans belt with your Casual Kilt, get the 1.5" loops. 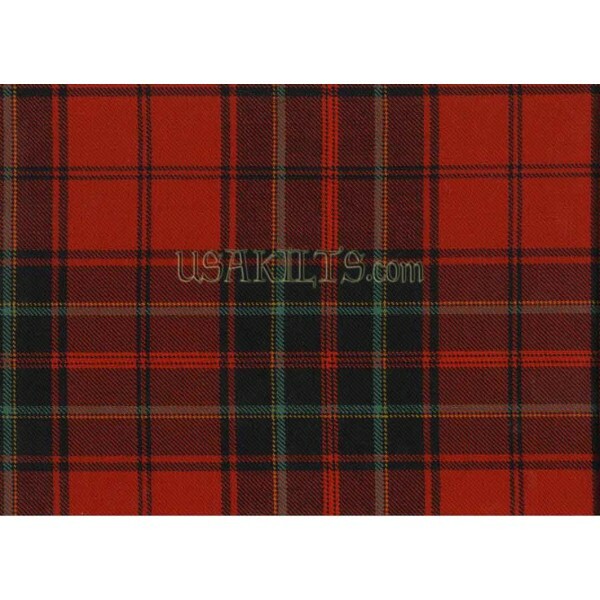 If you're only going to wear a 2.25" kilt belt with your Casual Kilt, get the 2.25" loops. 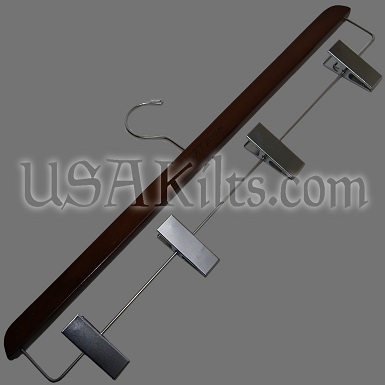 If you're going to want to wear both sizes or are going to wear a 1.5" belt now and upgrade to a 2.25" kilt belt later, then order our exclusive "Double Loop" system. Basically, it's the larger loop on top of the smaller loop, so you only see one from the front. 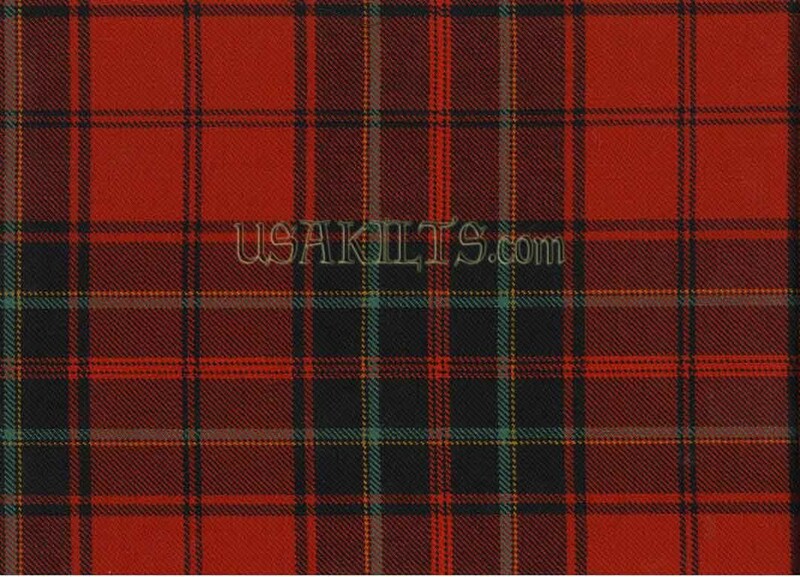 Our average turnaround on a kilt is 6 to 10 weeks. 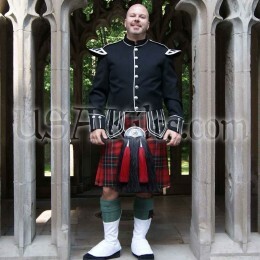 If you'd like the kilt faster, we offer a Rush option to have it out the door within 2 weeks for an additional charge. Got the Firefighters Memorial Casual Kilt as a Christmas gift. I also got the Sporran and the Endrick Ghillie Brogues. all worn with great pride to Christmas Mass! I am going to have to learn how to keep those laces up! Given the fact that there's no concealment of private parts under a kilt, I believe there should be something a little more reliable than velcro to hold the kilt up. At least one strap. Very happy with the service of my exchange policy. 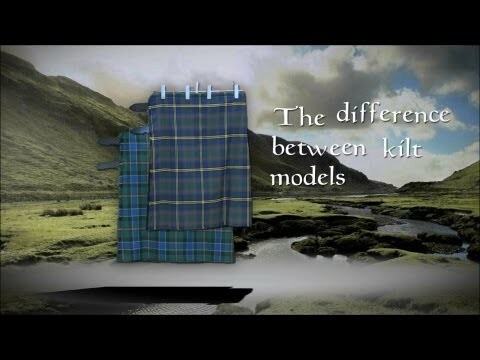 Looking forward to the delivery of the new kilt, which replaces the casual one that I initially ordered. Thank you.